First Line: “Move it. Outta the way, Sugar, ” my brother Skunk shouts as his orange soda sloshes out of the plastic Big Gulp cup. So, remember my review of Every Last Word? It was the first book in ages that made me cry. Shows and movies make me cry…books not so much. Well then doesn’t Deirdre come along and make me cry again! And not just “Oh, look! I teared up a bit and they’re rolling down my cheeks a bit.” No, I was full out bawling. This book is such a special story. I’m going to start with the thing(s) I loved the most about Sugar. Sugar is a large girl, she meets an attractive, slim boy who is the object of a popular girl’s affection…and he likes spending time with her just as she is. So many story lines in books, movies, shows, and such are centered on MC comes back and is now super pretty and hot and all the boys want her, including her long time crush. While that is lovely too and definitely does happen, I like that Sugar is loved before making a drastic change. Along these lines, I’ve seen a few people say they wished that Sugar hadn’t felt the need to start changing for Even. I didn’t interpret her transformation as that at all. It seemed to me that, instead, he was such a positive influence on her life and a great support system that the subconscious changes led to physical manifestations (losing weight). Part of the reason the relationship between Even and Sugar gave me all the feels is because I related to it so much. In the past, I struggled with feelings of inadequacy in terms of talking to guys and being “good enough” for them. I used to think “maybe if I can just a lose a few of the extra pounds I’ll find someone to be really happy with” and other similar, self-destructive thoughts. Then I met my very own Even; someone who enjoys my companionship, never asks me to change even one thing about myself (except maybe apologizing for being me so often, but it’s cute), and it generally supportive of everything. I saw in Sugar a lot of the thought processes and mental/emotional changes I went through. Now for the love/hate part. Even, oh Even. He’s a perfect book-boyfriend if I’ve ever encountered one. WHY, DEIRDRE, WHY DID YOU HAVE TO DO THAT TO HIM?! 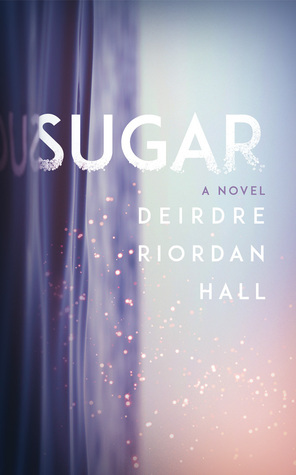 (The hate part) While the turn of events with Even emotionally wrecked me, I also love where it sent Sugar’s story. It showed a special kind of growth in her and I wanted to give her a huge hug. She’s so strong and resilient. Deirdre also had a great take on the “happy ending”. Yeah, there was happiness but it wasn’t perfect. She still had growing left, things weren’t all puppies and rainbows in her life (personal, at school, etc. ), she still recognized she has flaws. I realize that not every bullying story turns out this happy at the end. A lot of people suffer a lot and actually don’t deal with it well and don’t have endings even a fraction this good. I like that it can give people hope, though. It can teach people who, like me, maybe think/thought that finding a special someone is contingent on looking a certain way or making changes. Evens exist in the world, I promise. Buy (or borrow) this book. Grab some tissues. PREPARE FOR FEELS. Read Sugar. End of story. Just please read it. It’s a good look into the mind of someone that is bullied and struggles to deal with it. I have honestly never been very emotional over books. I get why it can happen, and I have have definitely had cases where a book has made me emotional but I wouldn’t say it’s ever happened in an extreme way. This book sounds really interesting though! If I ever get time, I will have to look into it. Especially after reading this review.